What's The Best Canon Printer For You? Finding the right printer can be an overwhelming task. There are many different features to consider that can make you second guess which one suits your needs the most. Canon printers make choosing the ideal printer for yourself quick and easy, fitting right into your home/office and your lifestyle. With enhanced connectivity, stunning print quality, easy-to-use software, and beautiful designs, Canon printers offer unique models to suit your unique needs. Canon offers multiple brands of printers, all with a different purpose and intent of helping you do what inspires and motivates you. 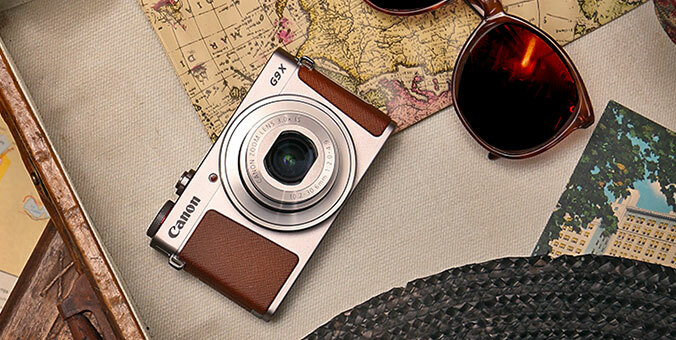 The SELPHY series is Canon's compact photo printer. It is unrivaled in its own regard, providing high quality prints while at the same time being mobile friendly. SELPHY printers are denoted by the following: CP. Whether you're printing out pictures to decorate your home, designing a wedding invitation for your big day, or scrapbooking your family's last vacation, Canon's inkjet Crafting Printers are here to bring your inspirations to life! Canon's 3-in-1 photographic crafting printers are great for crafting DIY Projects and creating beautiful, quality images up to 13”x19” in size. Forget about taking your pictures to get developed at a photo center. Print those beautiful masterpieces right on the spot, moments after creating them! Canon's SELPHY series offers a wireless3 compact photo printer that is lightweight and compact to make printing your special memories more convenient. It prints your stunning images quickly and dries instantly on Canon's photo paper. It is the ideal printer for events such as weddings, so that you can send your guests home with a photo memory of a great occasion. It is not only portable, but it also has some great print features. You have the option to print with a border or without and adjust the size of your pictures to your liking, making it perfect for journaling and creating postcard sized pictures. Canon also has the ideal printers for you “do-it-yourselfers.” Wouldn't it be cool to make your photos into a something practical? Picture your favorite memories displayed on a pictorial clock, a necklace, or even a lamp shade! Unleash your creative ability with help from the PIXMA wide format printer, a single function wireless3 photo inkjet printer that can take your unforgettable memories to the next level allowing you to create borderless photos as small (4” x 6”) or as large as you want (13” x 19”) depending on your creative need. Equipped with a 6-color ink tank system, you'll get amazing details in your prints giving you the ability to relive those moments exactly as they happened. Showcase your artistic spirit with the PIXMA TS series. These wireless inkjet all-in-one printers are jam-packed with special features, ranging from creative filters to custom borders, making it easy to find your inspiration. Designed to hold up to 6 individual ink tanks, our TS printers produce high-quality documents and photos that are perfect for all kinds of crafting and DIY projects. Load specialty paper — including our new 5” x 5” square media — into the dedicated rear paper slot to make your Instagram photos come to life. And with wireless capabilities, such as built-in Wi-Fi3 and the Canon PRINT App4, easily connect and print directly from your favorite mobile device or tablet. Canon printers are the perfect fit for busy college students with a low budget and tight living conditions. Canon PIXMA offers a wide range of multifunction printers that are excellent for dorm rooms at an affordable price. Campus printers are not always available when you need them. Maybe you live off campus or are simply in a rush to get that important term paper printed out. You can count on Canon printers to get the job done in a fast and reliable manner. Canon's 3-in-1 wireless3 PIXMA TS, G, and MX series printers are ideal for students looking to add an affordable printer to their college dorm room checklist. Let’s face it: when it comes to living on or off campus, finding ways to maximize space can be tough. The PIXMA TS printers feature portable, compact designs that fit perfectly in dorm rooms and off campus apartments, where space tends to be limited. Count on the TS printer’s all-in-one functionality, including built-in Wi-Fi3, to print, copy, and scan important assignments and photos. Plus, with a variety of solid and two-toned colors to choose from, you’ll have fun finding the printer to match your personality and flair. Are neighbors constantly knocking on your door to print out their last minute assignments? Everyone wants to be friends with the person who has the printer in their room. So when word does get out that you have the best printer on the floor you're going to need one that can meet the high printing demands of you and your new found friends. The MX series is here to meet all of your dorm room needs. Canon offers some MX models that are capable of holding more paper and are compatible with airprint1 and cloud print. This makes printing off any mobile device much easier. The MX series also offers a very small and compact option, giving you the chance to fill your room with the things you care deeply about. Between term papers, essays, presentations — you name it — it’s no surprise that college classes require an extensive amount of printing. That’s no problem with the PIXMA G series printers. These MegaTank printers are designed to print up to 6,000 black pages / 7,000 color pages10, making it the wise choice for cost-conscious college students. Even better — the G series printers feature refillable, spill-resistant ink tanks that help you stay in control and in charge of your ink supply. As a company that takes pride in offering the best in image quality, we understand that you would like your creative inspirations to be brought to life when they hit the paper. Why go to the photo lab for high quality prints when you can produce countless superb ones from the comfort of your own home? Amaze your friends and colleagues with stunning prints using Canon's professional quality photo printers. Our PIXMA PRO series suits the needs of photographers, marketers, and designers alike, no matter the experience level. We have the printer that is best for you, whether you're a professional or just looking to decorate the home. We share your passion for photography. Now let us bring your vivid images to life with the PIXMA PRO-1000. Featuring a LUCIA Pro 11-ink tank system, this high-end inkjet printer produces images with incredible clarity and color reproduction, capable of impressing even the most discerning photographers and clients. Equipped with our exclusive anti-clogging technology, the PRO-1000 is ideal for imaging companies, photography schools, and freelancers, where precision, quality, and speed are top of mind. So you have an aspiration to become a great photographer? It's a profession that is definitely hard to get started in. Canon PIXMA PRO-10, a professional quality photo printer, is here to help make your dreams a reality. With a LUCIA 10-ink tank system this printer produces gallery-quality images and can be easily connected to the cloud to print off multiple devices. The quality of a design impacts your business bottom line and has a make or break effect on that first huge deal you make, so we know how important it is for your work to be presented at the highest quality when sharing them with clients and co-workers. The PIXMA PRO-100, a high end professional photo printer, can help you produce stunning brochures, marketing materials, business stationery, packaging and anything else you may need. This PIXMA PRO printer is the most affordable of the series. You won't be disappointed with the vividness and image quality of these prints. Every penny counts when running a business. There is no time to be wasted. Speed, efficiency and quality are all critical and of the utmost importance for any business. Canon's MAXIFY series offers small and home office printing solutions to help your business grow. What's great about MAXIFY is that you get the quality of an inkjet printer with the speediness of a laser printer. The MAXIFY brand will give you the highest quality possible while maintaining productivity and efficiency. A printer shouldn't just be a cost incurred, but rather an investment that returns for your growing company. Growing a business from home can be difficult, but there's no reason why it should limit productivity. Canon's MAXIFY home office all-in-one printers are the ideal solution to meet your bustling company's needs. These fast, quality, cost effective printers are extremely reliable and convenient. Print wherever and whenever with cloud printing. You're a growing a business and looking to expand, but need some help. Canon's MAXIFY small office printers are here to help meet your company's needs. These all-in-one power houses are ready to handle your business' heavy workload in a fast and productive manner, while also not breaking the bank on ink. The single pass 2-sided scan feature allows you to scan both sides of a 2-sided document, saving you time and money (only available on the MAXIFY MB5420). You know what type of printer suits you best; now here are some of the features of Canon's top rated inkjet printers. Known for the best the connectivity, print quality, ease of use, and outstanding creative printing solutions, Canon inkjet printers optimize your needs, time, and money. Lose the cables and unnecessary wiring and make life easy for yourself with Wi-Fi printing! The Canon Print App4, is a wireless3 printing solution that is made specially for all Canon printers. The act of printing has never been easier with Canon. Canon's wireless3 printing options afford you the ability to print easily, giving what you need when you need it, in a fast timely manner. Wi-Fi - Lose the cables and unnecessary wiring and make life easy for yourself with Wi-Fi printing! Wi-Fi printing is the same idea as printing with a USB cable, it requires a printer driver, but simply connects to your printer through a wireless3 connection. As long as you are connected to a wireless3 network printing from multiple devices is a breeze. Find out how to set up you wi-fi connection here. Mobile/Tablet Printing - The days when only printing from your desktop was possible, are long behind us. Print directly from any mobile device with your compatible Canon printer. Printing through your mobile and tablet device is all made possible through Google Cloud Print2, Apple AirPrint1, and Canon's own Canon Print App4. Google Cloud Print2 - This feature allows you to print from Gmail, Google Docs, and Google Chrome browser from any mobile device, unlike AirPrint1 which is only compatible with Apple products, that is linked to your cloud-connected Canon printer. Cloud print gets rid of the need for drivers, entering us into a new way we go about printing. Printing from any mobile device is now possible with Google Cloud Print2, so provide yourself with conveniences of cloud printing with PIXMA and MAXIFY cloud-connected printer series. Apple AirPrint1 - Take advantage of your Apple device and improve your printing experience with Canon's AirPrint1 capability. This technology enables you to print directly from your Apple iPad, iPhone, iPod Touch, or Mac. Print web pages, emails, photos, and apps that have AirPrint1 technology with your compatible Canon AirPrint1 printer. There are no installing or syncing devices. Your Apple device will automatically detect your compatible Canon AirPrint1 printer and do the rest of the work for you. Canon Print App4 - Canon even has its own wireless3 printing solution that is made specially for all Canon printers. The Canon Print App4 allows you to print from remote locations and basically act like a fax machine. Simply register your Canon printer with the app and send your prints and documents to it from anywhere imaginable. PIXMA Touch & Print - If connecting and finding the correct wireless3 network to sync your printer to gives you too much trouble there is an even easier solution for you. PIXMA Touch & Print lets you print by simply opening the Canon Print App4 and touching your compatible Android device to the printer. At heart Canon has the DNA of a camera company so it is only natural that we are inclined to provide our customers with the best print quality possible. At the core of all Canon printers are its print heads, full-photolithography inkjet nozzles (FINE), printing your images with the high quality you desire, and in the fast fashion you deserve. Print Resolution - Canon's high print quality is all made possible through maximum print resolution. Print resolution is the amount of microscopic ink droplets the printer is able to put down on paper and is measured by dots per inch up. Our printers possess a maximum resolution5 of 9600dpi (dots per inch), the best resolution of all home inkjet printers. Chroma Life - This advanced feature is displayed in our professional inkjet printers. The innovative technology infused in our chroma life ink tanks (CLI-8/36, CL-41/51/52) plus the use of our genuine Canon photo paper will help immortalize your beautiful photos, lasting up to 100 years in pristine condition when held in a photo album. Your photos will withstand the test of time and resist any elements it faces, whether it be heat/humidity, gas, or light. 16.8 Million Colors - Experience every color you imagined with our dye-sub printers. They have the ability to mix an infinite amount of colors to print your images exactly as you envisioned them. Canon's inkjet printers are dedicated to providing the best and most colorful detailed prints thinkable. Auto Photo and Document Fixes - Just because a photo or document is poor quality, doesn't mean it can't be printed out in a beautiful fashion. Auto Photo and Document Fixes gives your photos and documents the best print quality possible delivering amazing results. The Auto Photo Fix resolves many common photo printing errors such as underexposed images, scene analysis plus brightness, and saturation correction. The Auto Document fix delivers beautiful results of scanned comments through advanced image analysis and area-by-area data correction so pictures remain clear and text comes through deep and sharp. Half the challenge of printing is knowing how to use your printer. All Canon printers are very user friendly displaying intuitive and helpful features to making printing effortless. LCD Touch-Screen - Execute what you would like to accomplish with an easy to navigate LCD Touch-Screen. The large touch screens of select Canon inkjet printers display all the options you need in a sleek and straightforward manner. Experience the best large screen display and all the conveniences it offers with the touch of a fingertip. Intelligent Touch System - Printers can be overwhelming at times with all the possible keys you can press. Select Canon MG series printers make operating your printer effortless. The intelligent touch system lights up the buttons you need only when you need them, providing a guiding hand for what you would like to do. Memory Card7 Connection - No need to upload! Take the pictures you captured with your digital camera and print faster by taking your beautiful images directly from your camera's memory card7. Digital pictures can be printed quickly and easily simply by inserting your cameras memory card7 into the designated slot on your Canon photo printer. Auto Duplex Print - Automatically print on both sides of a page without the hassle of having to turn it over manually. This feature not only saves you time, but is also ecologically and economically friendly. Decrease your carbon foot print, work faster, and save money with the most cost-effective (link) printers possible. 2-Sided Scan - Utilize the most amount of your time with the 2-sided scan feature, getting double-siding scanning done in half the time. Save time and scan both sides of a 2-sided document with select MAXIFY series printers. Advanced Paper Handling - No need to change and load different sizes of paper. The advanced media handling of Canon's printers allows you to load two different sizes of paper without the need of changing of them. Simply have two paper sizes you use often and save time. My Image Garden6 - This software makes organizing and displaying your favorite memories easy and fun. Photos can be stored and organized on your desktop into a calendar, event, and people view. In the calendar view your photos are automatically organized according to the date they were taken, allowing you to easily find you photos when they were taken. In the event view you can organize your photos by special occasions such as graduations, weddings, and birthdays. And lastly you have the ability to organize your photos by the special people in your life. The Face Recognition technology in the software organizes your images for you by person once enough pictures of that person are uploaded and recognized by the software. The software not only organizes your photos in a useful way, but it also personalizes them for you. My Image Garden6 offers various templates to customize your photos into collages, greeting cards, calendars, stickers, disc labels, and paper crafts. It even automatically creates layouts for your images based on how important the image is to you. It'll select a layout that displays the images you care most about. Full HD Movie Print9 - Turn your favorite HD movie clips captured with you compatible Canon EOS Digital SLR, PowerShot cameras or VIXIA camcorder into beautiful prints. Simply freeze your picture perfect clips and print them from your Canon inkjet printer. Special Filters - Have fun editing your images before you print them. Use the Fun Filter effects software that is built into your PIXMA printer so you can easily add effects that normally only cameras could do, such as Fish-Eye, Miniature, Toy Camera, Soft Focus, and Blur Background. Borderless Printing8 - Print edge-to-edge without any borders on a wide variety of paper sizes and types. With this feature you have the ability to create beautiful cards and other stationary. It is ideal for small photo prints. CD/DVD Printing - This feature is perfect for those who make videos. Select Canon PIXMA printers even offer the built-in convenience of printing on printable CDs, DVDs, Blu-ray Discs, and the CD jackets themselves. Direct Disc Print lets you customize titles, graphics, and pictures to give them a personal touch whether you're an inspiring film maker or simply wanting to customize some great memories. Canon offers a diverse group of printer categories that are suitable for crafters, professionals, home office/small office users and just about everyone in between. The key to finding the right printer is asking yourself what you will be using your printer the most for. Crafter - If you're a crafter and like to make scrapbooks and do it yourself projects you're most likely better off using a multifunction inkjet printer. They give you the ability to print, scan, and copy, while also giving you high quality photo prints at an affordable price. Professionals - For photographers and designers, who are met with the challenge of providing prints of high detail and quality for their clients and customers, a professional inkjet printer is highly recommended. What differentiates this series of printers from other inkjet printers are its Chroma life ink cartridges. These inks optimize your pictures giving them a photo lab quality finish as well as a protective coating against gases, light, and high temperature/ humidity, so they remain in excellent condition for a long time. Home Office/Small Office - When considering a printer for your office, you most likely need one that is of high quality and can print for you in a fast, reliable, and low-cost manner. MAXIFY printers offer the ideal solution. These multifunction powerhouses can print, scan, copy, and fax. They offer fast printing solutions through cloud connectivity, auto 2-sided scanning system, and prints that are completed in 7 seconds. The cost per print is also low as the ink tanks are designed to give you the most out of what you put in offering a high page yield. How does wireless3 printing work? Most printers do some form of wireless3 printing. Some are easier to use than others depending on what devices you have around you. Wi-Fi is the most standard one. To print through Wi-Fi you'll need to make sure you have a network to connect it to and that the printer is in range of the wireless3 router. Some other forms of wireless3 printing include Google Cloud Print2 and Apple AirPrint1. These are much simpler to use as these features automatically are displayed with no instillation necessary like Wi-Fi. A multifunction printer is just a fancy way of saying print, scan, copy, or fax. The term is also referred to as all-in-one, 3-in-1, and 4-in-1. 2. Requires an Internet connection and Google account. Subject to Google Terms of Service. Certain exceptions may apply. 3. Wireless printing requires a working network with wireless 802.11b/g or n capability. Wireless performance may vary based on terrain and distance between the printer and wireless network clients. 4. Requires an Internet connection and the Canon PRINT Inkjet/SELPHY app, available for free on the App Store and at Google Play. Compatible with iPad, iPhone 3GS or later, and iPod touch 3rd generation or later devices running iOS 7.0 or later, and Android mobile devices running Android 2.3.3 or later. Your device must be connected to the same working network with wireless 802.11 b/g/n capability as your printer. For users of compatible Apple mobile devices, document printing requires Apple AirPrint, which requires an AirPrint-enabled printer connected to the same network as your iOS device. A printer connected to the USB port of your Mac, PC, AirPort Base station, or Time Capsule is not supported. 5. Resolution may vary based on printer driver setting. Color ink droplets can be placed with a horizontal pitch of 1/9600 inch at minimum. 7. Compatible memory cards include SD™ Card, SDHC™ Card, Memory Stick DUO™ and Memory Stick PRO Duo™. The following can be used with the addition of a special adapter sold separately: miniSD™ Card, miniSDHC™ Card, microSD™ Card, microSDHC™ Card and Memory Stick Micro. 8. Envelopes and High Resolution Paper are NOT supported for borderless printing. 9. "Full HD Movie Print" is available from "MOV" and "MP4" movie files created by select Canon EOS Digital SLRs, PowerShot, and VIXIA digital cameras and camcorders. Requires PC or Mac with Intel® processor and Canon ZoomBrowser EX 6.5 or later or Canon ImageBrowser 6.5 or later for "MOV" files, or Canon ImageBrowser EX 1.0 or later for "MOV" or "MP4" files. Print quality is determined by the video resolution. Function does not upscale video resolution. 10. Page yield of ink bottles used for initial setup is lower than the replacement, as a certain amount of ink is consumed to fill into the print head during the setup (charging the print head initially). Page yield is the estimated value based on Canon individual test method using the ISO/IEC 24712 chart and continuous printing simulation with the replacement ink bottles after initial setup. Page yield of color inks is an average yield of cyan, magenta and yellow inks combined. Page yield varies significantly depending on content printed and other factors. 6,000 (black) and 7,000 (color) printed pages yields are approximate, based off document pages printed.